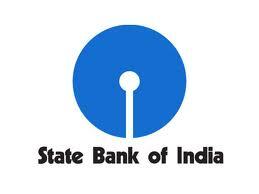 SBI Recruitment 2014 (Special) for SC/ST/OBC/PWD Categories For Management Executive Vacancies. State bank of India SBI recruiting the reserved category candidates SC/ST/OBC/PWD for the vacant posts of Management Executive under the Special Recruitment 2014. All the interested candidates can apply online for these vacant posts through the official website of bank- www.sbi.co.in or we are advised to apply online through the direct link we mentioned below. Post Graduate Degree/ Diploma in Business Administration, Business Management, International Business, Marketing, Finance, Operations Management, Systems, HR (minimum two years full time course. Part time course/ distance learning courses are not eligible). (a) Candidates with professional qualification (CA/CWA/CFA/CS) should have secured 55% minimum aggregate marks in 12th Standard. Age limit: Min. 21 Years (Relaxation in age as per govt. norms, more details given in advertisement pdf given below). Interested and eligible candidates can apply online through the official website of the bank. After reading the above details, click on the following link and download the advertisement pdf containing all the details regarding the SBI recruitment 2014 exam for reserved category candidates under the special recruitment drive.